If you choose to drive around Europe, don’t stay right in middle of an old town. For our return to Spain we’d decided to go to Cordoba (we had been intending to head down towards Seville, but Seville turned out to be super expensive so we changed our plans – the benefits of only sorting all our accommodation a night or two ahead of time), and I’d booked us a place to stay which looked pretty nice. Close enough to everything we wanted to see, and I assumed the fact that it came with parking implied that it might have been built with cars in mind (i.e. not in the old town). It was ridiculous, and we were very thankful that we’d picked the cheapest, and therefore smallest, car possible. Eventually, thanks to a bit of good luck, folding the side mirrors in (even then we had some points with literally only a few centimetres clearance on either side), and several twenty-point turns to manoeuvre round the right-angled corners, we did make it, bathed in sweat and seriously in need of a drink. 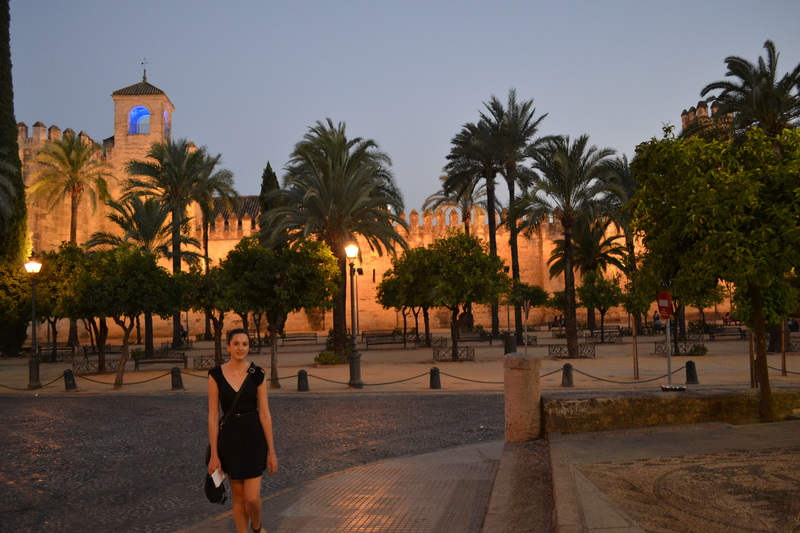 Once we got to the hotel, though, things changed and Cordoba became amazing. Hospederia del Atalia (where we stayed) was beautiful, more like a mini resort than the hotels we were used to. 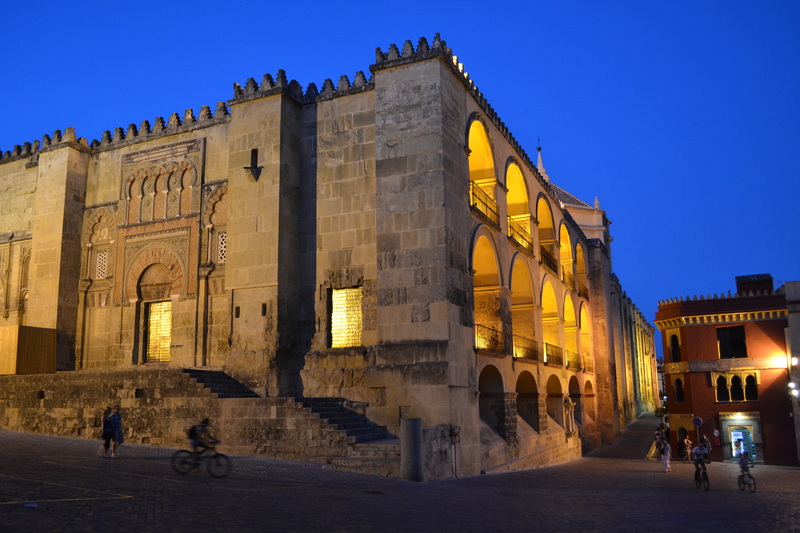 One of the features of Cordoba’s Islamic heritage is that most of the buildings in the old town seem to be built up around the traditional private courtyards, which means that as you walk down the street you’ll catch little glimpses of lush gardens or central fountains through every open doorway. Very cool. Atalia was the like this, and inside was more of the same: helpful staff, calm atmosphere, and at least ten times the amount of luxury you would ever expect to find for NZ$78 a night. 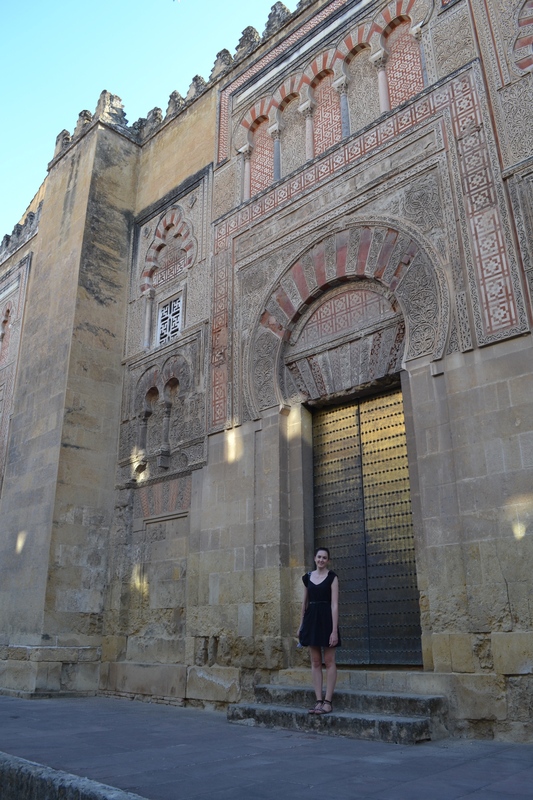 And it was only about 50m from the main cathedral, so very central. I’d recommend it to anyone; just don’t drive there. 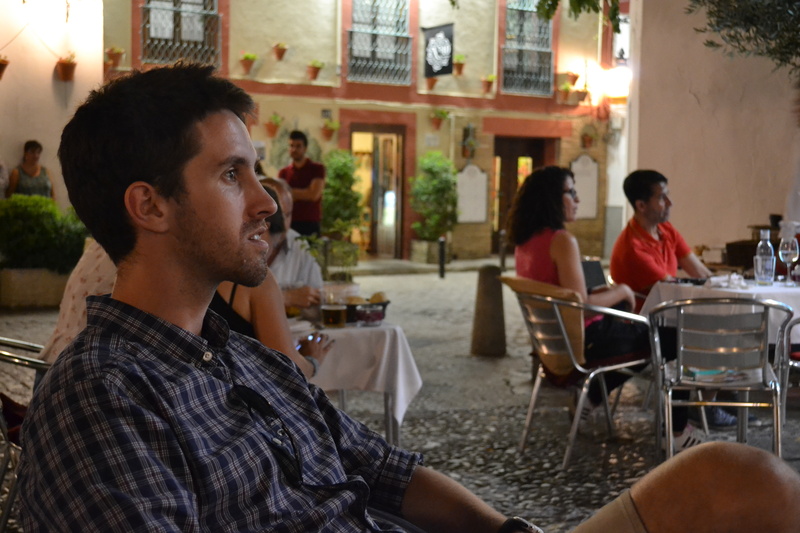 After some walking around the town we came across one of the best concepts ever – ‘tapas gratis’. 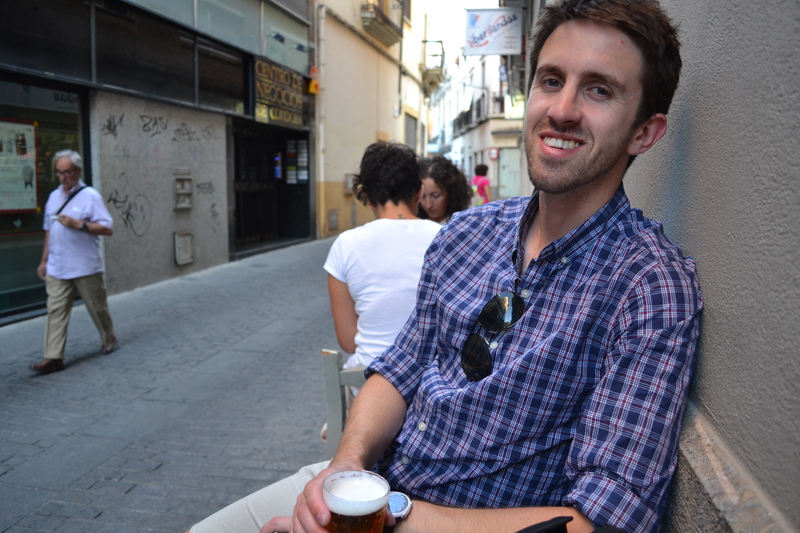 It was the first time we’d found a bar doing it on our travels, and what it basically means is free food. At this place when you bought a beer for 1.30 euro you would also receive a reasonably sized place of delicious snacks to go with it. 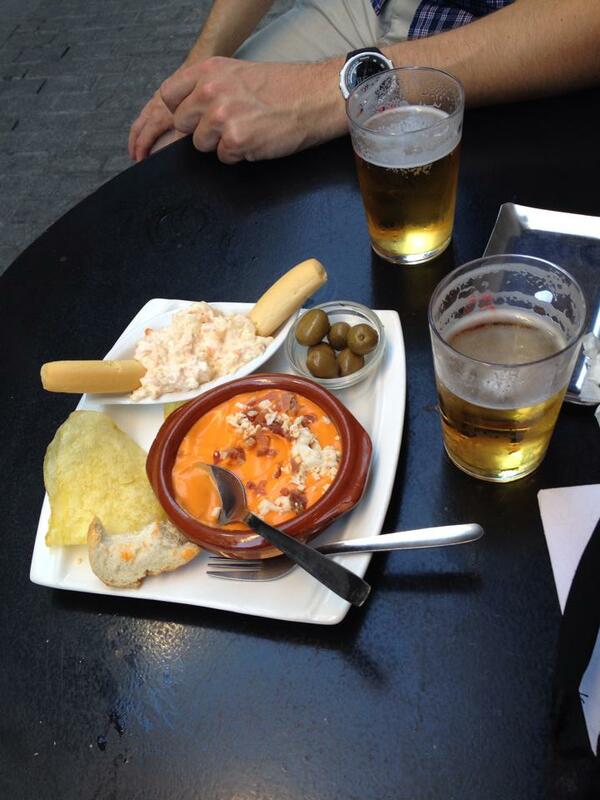 So for under 8 euro you could get six beers and three plates of food – such a bargain! 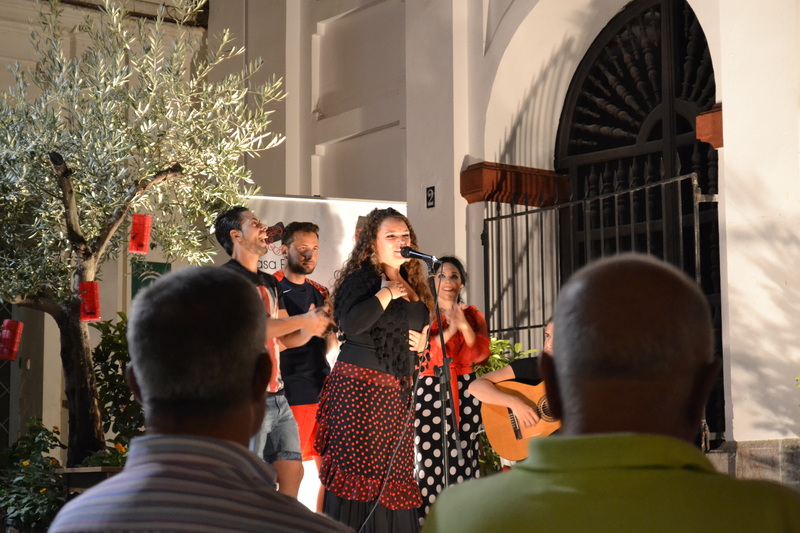 Apparently this impaired our judgement a little too much though, because for some reason we eventually decided to leave this wonderful place and see more of Cordoba, and that was the last tapas gratis we found. 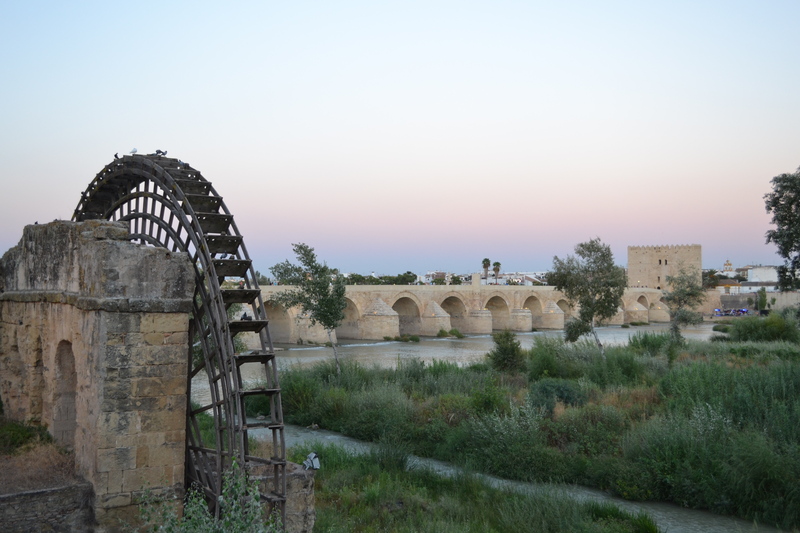 But Cordoba in the evening was worth leaving for. It was still mid-30 degrees well past 9pm, and the mixture of tiny streets and occasional open spaces were very nice to look at.We must have spent at least a couple of hours just wandering around, half looking for somewhere to eat but really just checking out all the cool buildings. 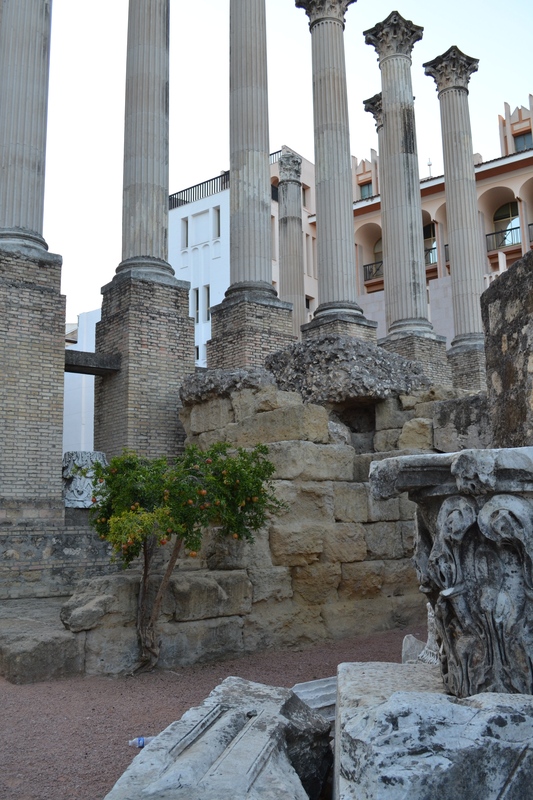 Some of the places we’ve visited you go to see just two or three main monuments, but in Cordoba everything seems appealing. 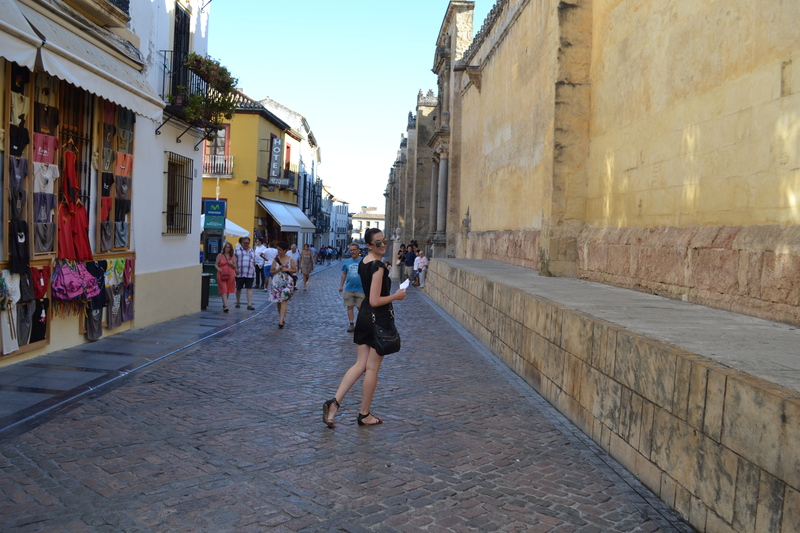 The next morning we went to see the Cordoba cathedral. The guy at the hotel had told us that it didn’t open until 10am, but since we were walking past anyway we went to check out how much it cost before breakfast. As we were standing outside, the guard by the entrance said something friendly-sounding in Spanish and sort of ushered us in. Turns out that for some reason it is free between 8:30am and 9:30am, when it shuts for half an hour, and then from 10am through until close it costs 8 euro per person. 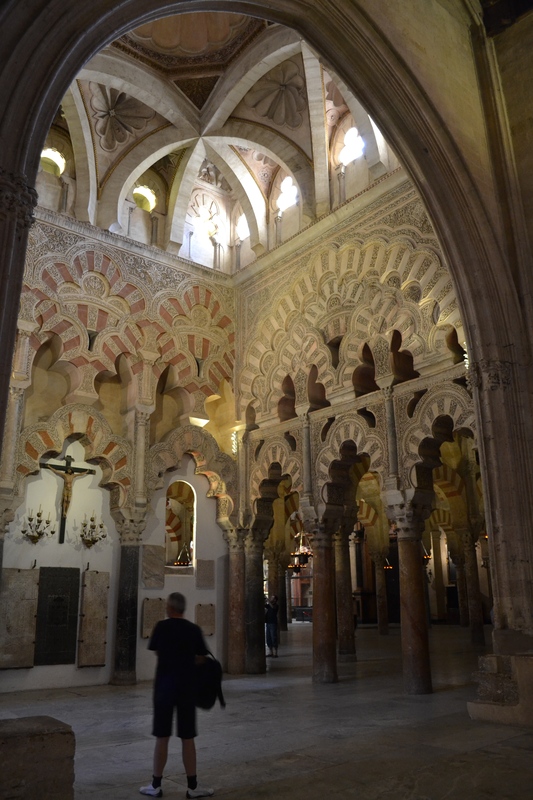 So if you are ever in Cordoba and want to visit it’s most famous piece of history – go early. And do go, because it is worth a trip. 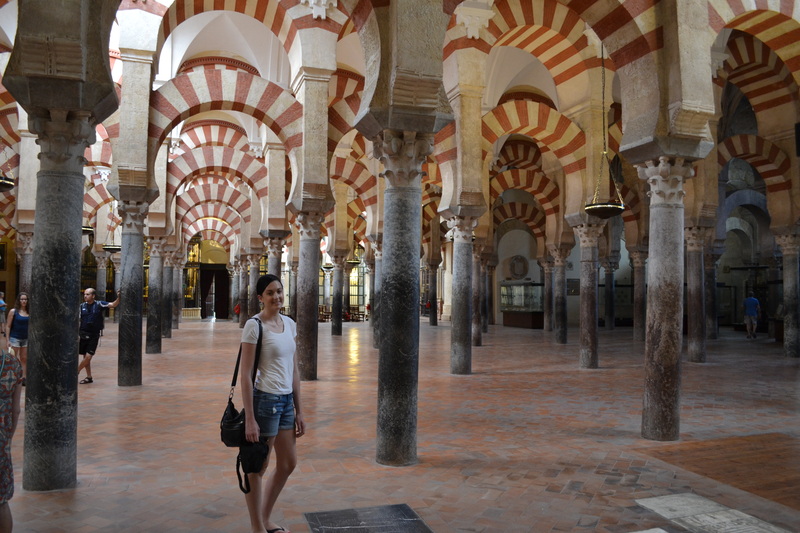 Overall, aside from the driving issues, Cordoba was awesome. Vibrant and colourful, it was especially good for us because we knew almost nothing about the place before we arrived so the whole place was just one big fun surprise. Definitely worth at least a night in anyones itinerary.